Spreading awareness on a serious topic, fits the ethos and values that Sincerely Shug believes in, that is why we are collaborating with the NHS to share awareness of a growing concerning topic. We need to recognise things that are happening in real life and how this affects others in our communities. 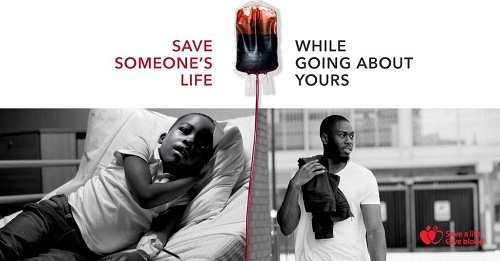 Blood and Organ donation is severely limited in the Black and Ethnic Minority Groups (BAME) so there is a lack of support for those who are in need of a blood or donor transplant. Many of our communities are struggling with real life issues on a daily basis, lets not let their health be one of them. There needs to be a bigger representation of Black and Ethnic groups registering to become donors and supporting those who look like you, help save lives. Black people are the most under represented group, with less than 1% of active donors- what does that say about our community? This month is black history month, and the NHS is calling upon black and ethnic groups to register as blood, organ and stem donors and be there for people who need life saving or life enhancing blood transfusions, stem cell transplants and organ transplants. With black, mixed-race and ethnic minority groups having the least registered donors, it takes longer for those people awaiting donation to get the help they need, those waiting for blood donation/cell transplants will averagely wait longer to find a match. With currently 600 people waiting for an organ transplants; black people will often wait a year longer for a kidney transplant than people from white backgrounds. Humans have always been selfish beings, but when it comes to a loved one we would do anything to see them smile, watch them grow and hear them laugh. If your mother, brother, sister, cousin was in this position needing a donor- you would jump at the chance to help- because you care, so why does it become a different story trying to save another persons life. Life is life and everyone's is just as precious as the next. In order to save a life we need to see lives as equal, let's stand up and make our community proud, spread the news WE NEED MORE BLACK DONORS.